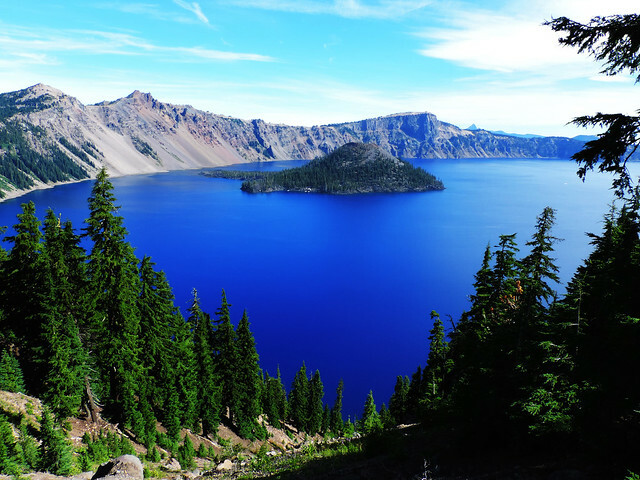 Crater Lake is a wonderful masterpiece of volcanism and one of the bluest, clearest lakes on Earth. Also, it’s a perfect excuse to visit and explore Oregon, this wild and green state, home of magnificent mountain peaks, charming waterfalls and a dramatic ocean coast. We spent an amazing day at Crater Lake. Was it enough? Of course, not. 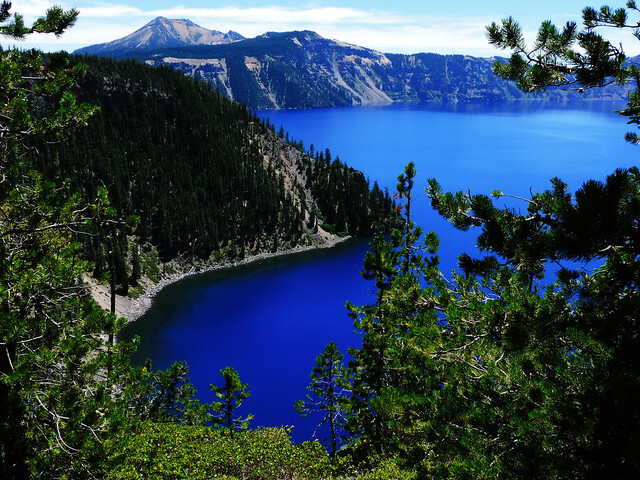 Especially if we consider the fact that Crater Lake National Park encompasses not only Crater Lake, but the surrounding hills and forests, too. But this day was enough to admire the lake and do some charming short hikes in the area. 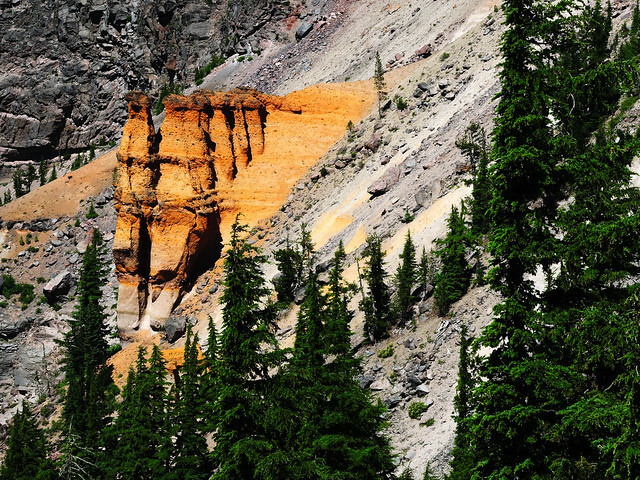 Did you know that where Crater Lake is today was once a mountain peak? A massive volcanic eruption left the crater 7700 years ago. 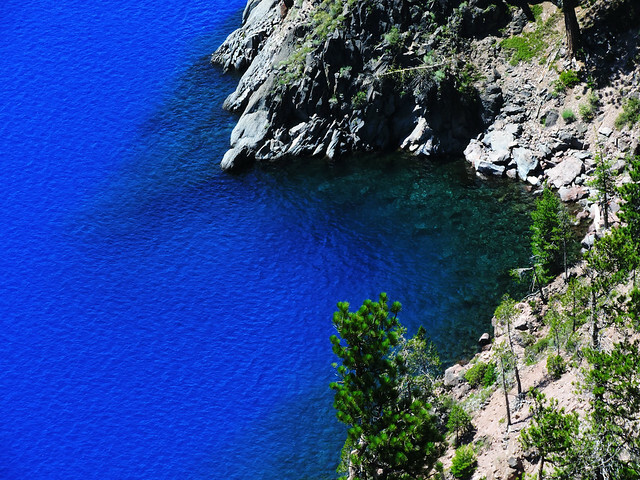 Also it’s the deepest lake in the United States (1943 feet / 592 m deep). 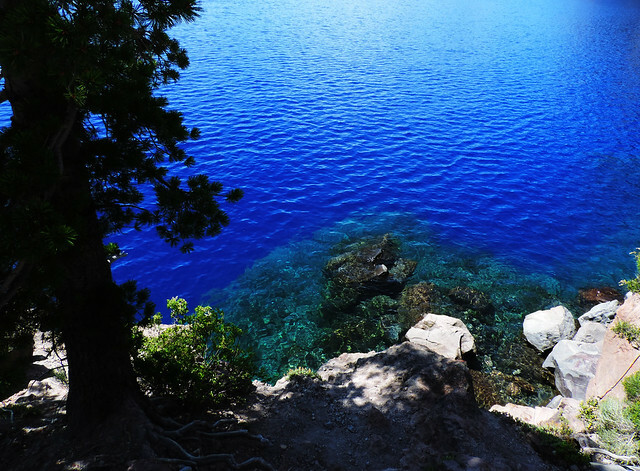 Crater Lake is so unbelievably blue because other colors of the spectrum are absorbed. Its water is from annual precipitation in the region or subsurface seepage. It has no streams flowing into or out of it and that is the main reason for its exceptional clarity. Crater Lake Rim Drive follows the caldera rim around Crater Lake and has amazing views of the lake from every angle. It’s a 33-mile loop drive with astonishing vista points! There’s a lot of pullouts all along the way, but some huge parking lots, too, at the famous vista points (some with restrooms and picnic benches). The most famous points of the Rim Drive are Sinnott Memorial Overlook, Watchman Overlook, Cloudcap Overlook, Pumice Castle, Phantom Ship Overlook and Vidae Falls. But to be honest, this is a place where you don’t have to look for amazing lookouts, because the whole drive around the lake is the highlight itself. Get out of the car and do some hiking! 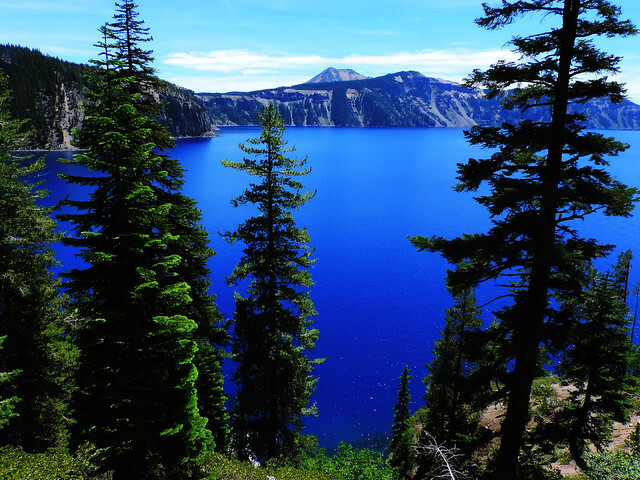 Crater Lake National Park offers great hikes as well! Shorter, longer, close to the lake or up to the surrounding peaks – that depends on your taste. Cleetwood Cove Trail is the only trail with lake access and if you only have time for one hike then this should be it! It’s relatively short (2.2 miles roundtrip) and very steep, but it rewards you with stunning views. You can even jump into the lake if you want or just cool down your feet in this magically blue (but cold, damn cold!) water. 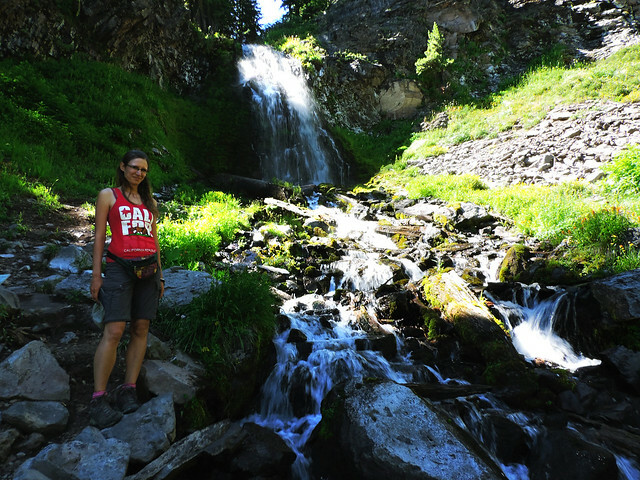 Our other hike was to Plaikni Falls which is a short (2 miles roundtrip), easy and charming hike in the forest to pretty little Plaikni Falls. You need to take a short detour on Pinnacles Road to access the trailhead. We haven’t mentioned the two islands in the lake yet. 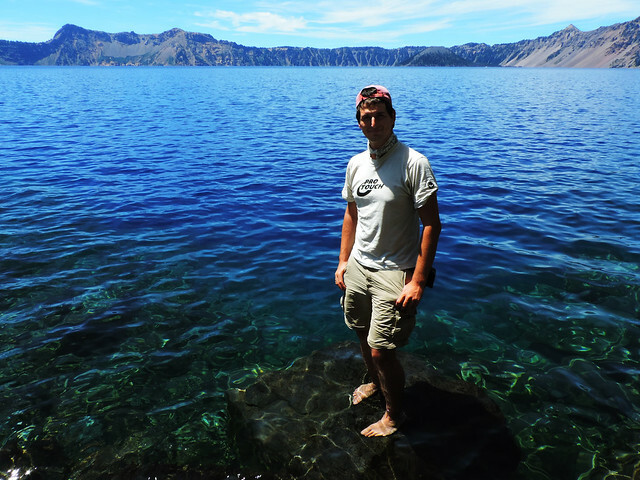 Wizard Island is a volcanic cinder cone itself – yes, volcano inside the volcano crater, isn’t it awesome? Boat tours are organized to Wizard Island during the summer. We made the mistake to try to purchase a ticket without prior reservation – all were sold for the day. Yes, we screwed it up, it happens, and yes, you have to make reservation if you plan to go. It’s definitely on the list for our next visit. If you plan for a boat ride, you need to calculate with some hiking time, too, because boats leave from Cleetwood Cove which is accessible only by foot. Not that it should scare you away from anything, but you should plan accordingly. The other island in the lake is Phantom Ship. It’s very small, but it has a very unique shape and several vista points offer views of it from different angles. 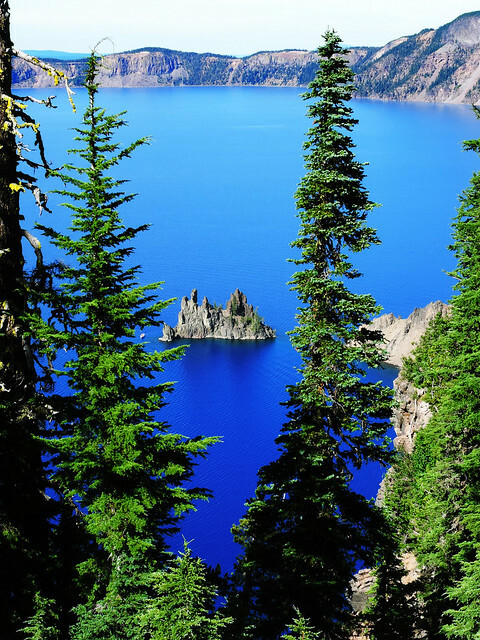 Crater Lake is magical all year! Though it’s a real winter wonderland from early autumn to late spring, access is limited in the winter months. Probably ranger-led snowshoe hikes are your best option to experience the winter beauties of the lake. We visited the park in July and summer definitely offers more options: hiking, boat tours, ranger-guided programs, swimming and driving along the Rim Drive. Yes, Rim Drive is also closed in winter due to the heavy snowfall. It opens only in the summer and maybe you better target July rather than June. 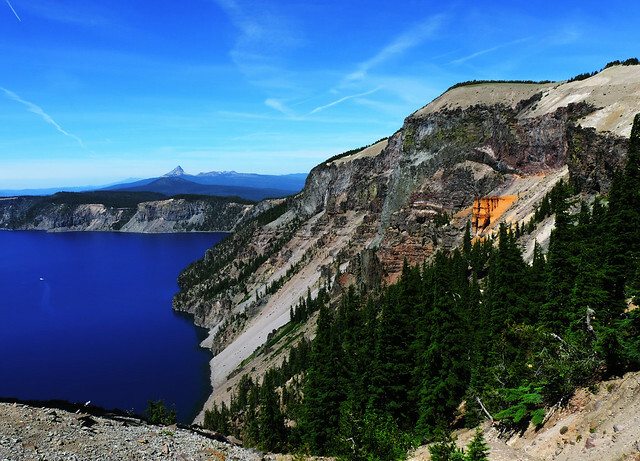 But exact opening dates vary each year, it’s best to check Crater Lake’s NPS website for all the most-up-to-date road and weather conditions, fees and opening hours. Find more budget tips for visiting national parks in the US in this post! Does it sound like a place you would visit? Do you have a favorite lake?